Historic English Writer Charles Dickens once said, “Never say never” in his first novel, 1837’s Pickwick Papers. What does it mean? It means that anything can happen and when one least expects it, the improbable can occur. 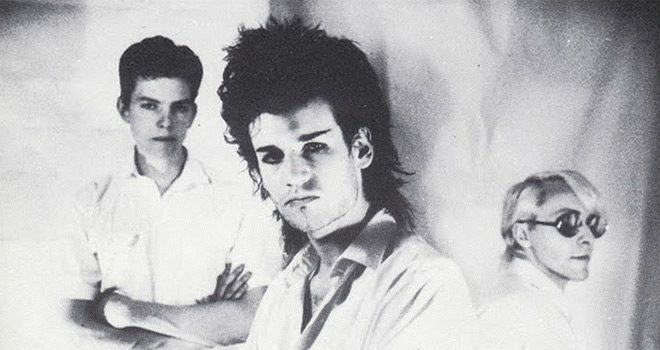 Speaking of unlikely, years ago, Bauhaus’ Guitarist Daniel Ash swore he would never tour again. Rightfully exhausted after decades of life on the road with the aforementioned Bauhaus, the hit making Love and Rockets, and briefly with Tones on Tail, Ash has experienced a great deal. Still very active artistically creating music, recently Ash took everyone by surprise with the announcement he would be going back on tour with his new project Poptone. 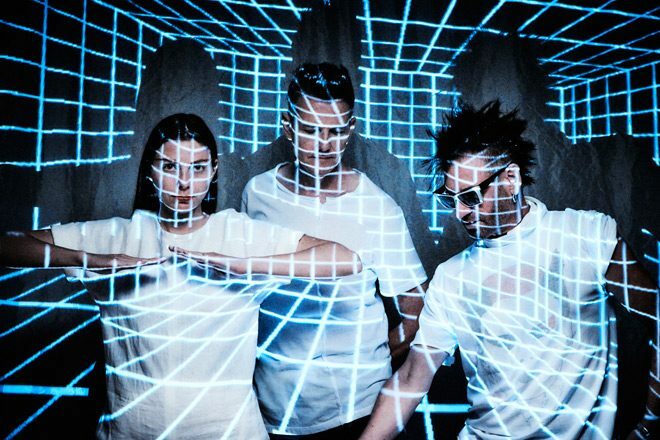 A retrospective look at a storied career of past bands, Poptone sees Ash team up with Bauhaus Drummer Kevin Haskin and his daughter Diva Dompe for live shows that are guaranteed to excite fans. Amidst all the buzz, Ash sat down with us to talk the life and times of Bauhaus, his decision to return to touring, the truth about the media labeled Goth genre, and more. 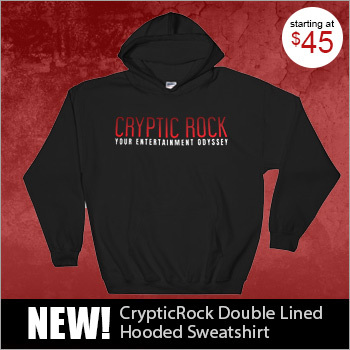 CrypticRock.com – You have been involved in music professionally for nearly four decades now. From your time with Bauhaus to your time with Tones on Tails and memorable work with Love and Rockets, you have built quite a legacy. First briefly tell us, what has this unpredictable journey been like for you? Daniel Ash – When you say four decades, that’s funny to me, it’s a long time. The music industry in a nutshell is very up and down. It’s two extremes really, especially when you go on the road, or it has been in the past, it’s a very extreme existence going on the road. I think that’s probably why I didn’t do it for so long, you get burnt out on the whole live thing. I feel re-energized now to cope with what’s about to happen because we are booked up until October the way it is, but we are having plenty of breaks in between. It’s not just one long haul, it’s in lumps of two weeks at a time. A week off or so and then another couple of weeks etc, it’s paced out much better than it used to be in the olde days. What has it all been like? I can’t really answer that, it is more than a one liner. It’s the creative process that I’m interested, I can’t stop doing that because that’s what I do. Whether it’s painting, writing songs, performing live. I supposed I do two or three different things as far as my occupation. CrypticRock.com – Yes, and you have had quite a career so one can imagine it would be difficult to sum that up. As mentioned, you have been involved in quite a few memorable bands over the years. Perhaps the most widely celebrated is the work of Bauhaus. 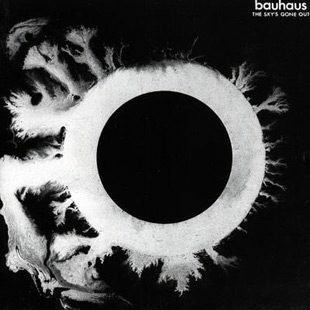 The stylistic approach of Bauhaus is considered the foundation of Gothic Rock in many’s eyes. 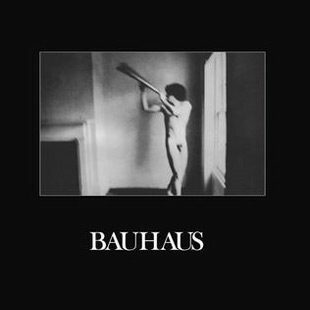 In your mind, how would you view the body of work of Bauhaus? Daniel Ash – I’ve said it over the years, it’s very strange, that “Goth” thing was sort of put on us by the press. I think we were, especially when we started out, that name didn’t exist and we were sort of lumbered with that name and it took off. You got to understand from an English point of view, it seems like The Cure and Siouxsie and the Banshees, they are considered Goth, whereas in England, at the time when it all started, that was considered an insult to those bands. They would never say that they were Goth, Goth to us back then, in the early ’80s, was considered no talent, really big hair and too much makeup, we fell into that category (laughs). It was something that I remember Siouxsie said, “Well Goth doesn’t actually exist,” I thought that was a great answer to the whole thing. In the same breath, now looking back a few decades, it’s obvious why we were labeled that because we came out with our first single called “Bela Lugosi’s Dead,” it’s very custom made and that was all a complete accident. The whole thing of wearing black was, it wasn’t even spoken about. As I’ve said before, I wore all black because I was always mucking about on motorcycles, my clothes would get filthy, so black was practical, and I thought it looked good as well. It wasn’t ever thought about, it was something that naturally occurred. 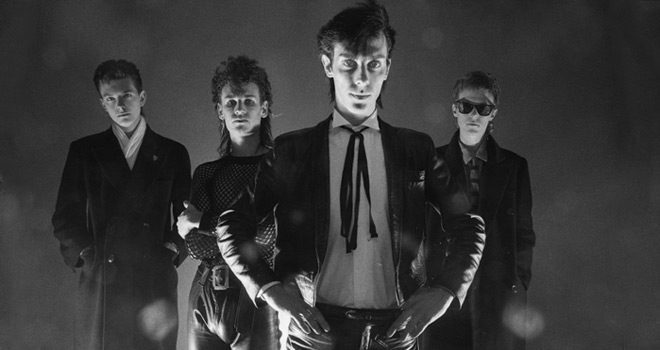 The subject matter of that band (Bauhaus) came from living in England at that time in the late ’70s and early ’80s; we had really bad weather, bad food, and a lot of unemployment in the UK around that time. That’s where that music came from. We didn’t know it came from that, but let’s just say you weren’t exactly in sunny California. That’s where the sound came from. If you look at England with the bands up north such as Manchester etc, the further north you go, it seems that is where a lot of the good music comes from. Areas of the world where the climate is not sunshine, that’s what happens. You get a particular sound and a particular look because of your environment. CrypticRock.com – That is a very interesting point of view. We really are a product of our environment, aren’t we? Daniel Ash – Absolutely. The climate of anywhere on the planet, the climate that you live in will determine your personality and your character to a large extent. CrypticRock.com – Yes, it is very true what you said about the climate of the time you came up in, you can look at that the same with Punk Rock. Especially the UK Punk Rock scene, there was a lot of distress in England at the time. There was a reason for the music, it had a point. Daniel Ash – The Punk thing was a lot to do with unemployment in England and a lot to do with reaction against the old farts of the time – this sort of Deep Purple, Led Zeppelin, YES, Genesis, etc. Rock became very pompous, very bloated. The Punk thing, when it came along, was so refreshing, not for everybody. Not everybody loved it, it was an underground thing and always was. Like anything, if it becomes mainstream, then it’s destroyed and it’s time to do something else. The whole thing was you don’t have to know all your scales, that cliche that all us guys used to talk about was that you don’t have to be a real musician in order to create music. You can take that through to people like Duran Duran, they weren’t real musicians either. I recently saw a documentary about them the other night and I really related to what they were saying. Learning to play an instrument was sort of a necessity in order to get on stage, which actually was the case for us as well. I was way too lazy to learn more than three chords, I would treat the guitar as a piece of wood with six strings on it to make noise rather than sitting at home learning tons of scales. It wasn’t of any real interest of me because I wanted to sound different to anybody else, that is what happened with the band. There was nobody else that sounded like Bauhaus at all, it was a good combination of characters and a good chemistry in the band, as it is with any band. 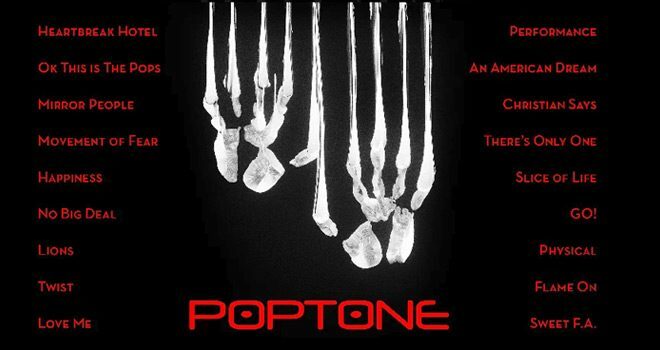 CrypticRock.com – It certainly has stood the test of time, since that time you have certainly kept yourself busy through the years with Love and Rockets, to solo work, to now a new project called Poptone. What inspired the formation of Poptone? Daniel Ash – I had this revelation at four o’clock in the morning about two months ago, woke up with my headphones around my neck sitting in my chair in the office, and I had been listening to music all night. I just had this revelation, I never thought I would do the live thing again, it just came over me that it became completely obvious that what I should do is go out and play live. I was in the process which I have been for many years searching for film and doing TV music, it’s real tough to get those gigs. I did think for awhile there that it wasn’t for me at all and that I couldn’t relate to it. I had this complete turnaround one particular night and it was blatantly obvious that I should do this. It just clicked, the penny dropped that I should go back on the road and play again. That’s what we are doing now, we’ve been rehearsing now for about five weeks. It’s going really well, so far so good. CrypticRock.com – Well that is a positive thing, sometimes like you said, you get burnt out. You toured extensively for many years, and sometimes you feel reinspired as you are right now to do it again. Daniel Ash – Yeah, that’s exactly it. Kevin said to me the other day, it’s been about ten or eleven years since I have played live. I might have done an odd gig here and there, very one off. I didn’t feel right doing that maybe just one or two gigs, I was completely over it, and now I am completely re-energized. I can’t explain what it is, it’s something that I said I’d never do again. CrypticRock.com – As you had mentioned you are working with Kevin Haskins and you are also working with his daughter (Diva Dompe) in this project, you have always had very good chemistry together. What do you think has been the key to you two working so well together? Daniel Ash – That’s a personality thing, we are very different, we get along like a house on fire, there are clashes there. We related to each other in the right ways, as far as the creative process is concerned, we don’t clash as personalities, we get on great. I am doing music from three bands – Bauhaus, Tones on Tail, and Love and Rockets. He was in all those three bands, he was the obvious choice. It’s funny, I went up in rehearsing and I am remembering how much of a damn good drummer he is, I think he is probably my favorite drummer. He’s very creative, he’s not just a drummer. He creates a lot of sounds that are triggered by his electronic pad that have nothing to do with drumming, he is very good at evoking atmosphere. It’s very exciting working for Kevin again because I remember just how great he is as a creative person and not just a drummer. Between the two of us, we get things done. CrypticRock.com – Well that sounds very exciting, as you had mentioned you are out rehearsing now. You have two LA shows, which are already sold out, and as you said, more dates are set to follow through October. Daniel Ash – There’s a couple of little private gigs in LA, then there’s two more gigs down the road in June. We are out on and off until October, officially we are starting the first week of May, then we are in Phoenix, Arizona for the first gig. It goes on from there, from there to New York all across the Midwest etc. CrypticRock.com – That is great to hear and an exciting time for fans of all three bands. As you stated, you will be performing tracks from all three bands? 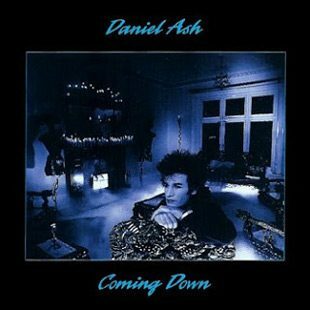 Daniel Ash – Yes, with a few favorite covers, just fun stuff we like playing. 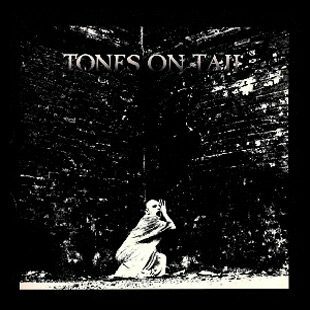 We are going to be doing “Physical” by Adam and the Ants, “Heartbreak Hotel” by Mr. Elvis Presley, which is something we used to play live with Tones on Tail. It worked right away as soon as we started rehearsing it, it’s a mixture of all three bands. I supposed you call it retrospective. CrypticRock.com – Are you perhaps going to mix in some of your solo material that you have worked on over the years? Daniel Ash – At the moment we are just picking the songs that we think everybody wants to hear. There’s no sort of weird, obscure stuff. The only solo thing I’m doing at the moment is a track called “Flame On,” which there’s a video for it on YouTube. It’s something I did a couple of years ago, so that one’s working live, so that one works within the set. CrypticRock.com – Very cool, it sounds like it celebrates a broad range of material of your careers. 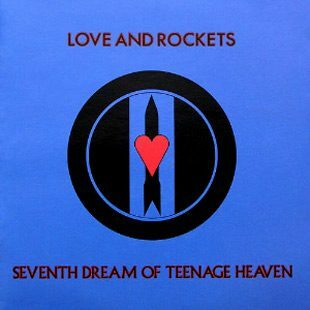 Let’s focus on Love and Rockets for moment, this was a band which attained a great deal of success. 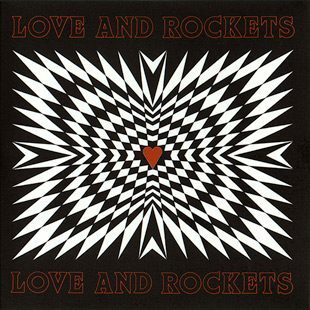 How would you describe your time with Love and Rockets, what do you feel attributed to the band’s success? 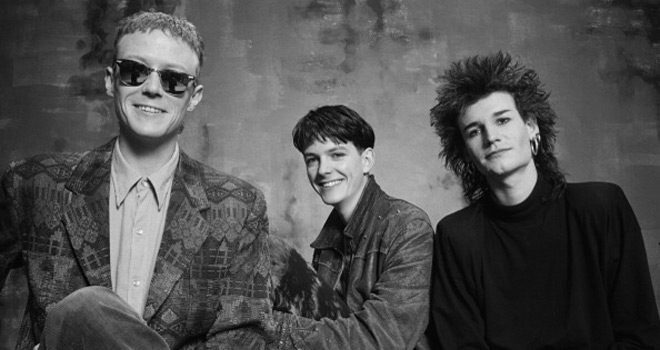 Daniel Ash – Ok, this is going to be a very obvious answer, but the success came from writing good songs (laughs). How can you answer that? Why is Coca Cola successful? Because it tastes good, do you know what I mean? I am not being funny or sarcastic. It could only be that the songs were good. This whole thing that people talk about on interviews about this, that in the other, nothing at all happens, you don’t sell merchandise, you don’t book gigs, you don’t sell out shows, you don’t do anything unless the songs are good. If you haven’t got that then you can throw all the money in the world at whatever project you are doing, but at the bottom line, if the song isn’t there, nothing is going to happen. What else could it be? CrypticRock.com – That is very true. Quality sells. Sometimes we see manufactured music that sells, which is not very good. Daniel Ash – There, again, luckily there’s a lot of different types of human beings on the planet, what one person would like, another person can’t stand to listen to it. There’s a lot of variation right from pure Pop music that’s out there to extremely commercial Pop music. I know what you mean about well, I can’t bear the manufactured stuff, but that’s been going on since it all started. You always get this sort of people just put together a manufactured band. I see it now big time in places like Japan where you get these Pop groups. It’s so obvious that they have been completely manufactured. I find that fascinating and very strange because I could never be a part of anything like that. That’s not to say it doesn’t exist, it’s extremely successful, it is what it is. Different strokes for different folks. There is an audience for anything that has got any merit, if it doesn’t have any merit it’s never going to happen. I’ve said before, you can spend all the money in the world on a project, if that ingredient isn’t there, it’s not going to happen. That’s why, with any record company, they will sign a ton of bands and there’s about four or five of them that actually do anything, and that’s the way it will always be. CrypticRock.com – The industry is changing a lot, meaning, the way we receive our music is changing. What is your opinion on that? Obviously the consumer format is ever-changing, what do you think about all that? Daniel Ash – At first, years ago, I hated it because everything seemed way too accessible. The way I look at it now is completely different. Somebody pointed out to me who is real high up in the music industry. 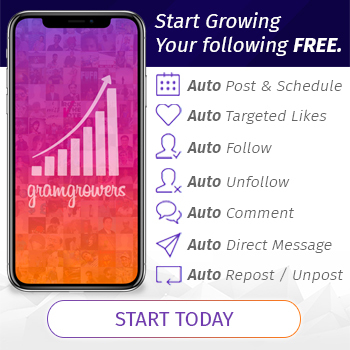 He said, “Look, you used to reach hundreds of people, then you reach thousands, now anybody can put something on YouTube, and you are literally reaching millions of people.” That is a really good thing, it’s worldwide now. That’s actually really healthy, it’s more healthy now than ever. The only downside is that the market is completely flooded and there is so much going on that it’s hard to filter the good stuff. Human beings, being human beings, can usually be good at that – I like this or I don’t like this. It’s a great art form, music, because you don’t have to be educated to like it or not like it. You like instantly what you like, you don’t get any education to know what’s good and what isn’t. It is in you to know what you like, it is very instant. 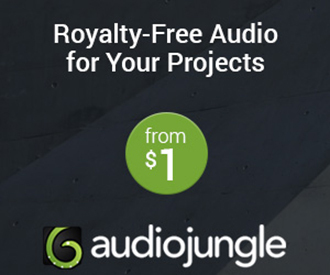 CrypticRock.com – Exactly. It is good that you reach more people, but, as you said, there is that oversaturation. We can figure out what we like and what we do not like. Daniel Ash – In a way, it’s a runaway train, it’s crazy what’s going on. Everything is instant, there’s a very good and bad side to that if you think about it because people’s privacy is taken away. You have to be completely open in order to get out there and get your stuff noticed. Having said all of that, nothing can take the place of the live gig. You can make fabulous videos and that’s a great working tool to advertise yourself, but the bottom line that has become apparent to me, and this is what happened to me a couple of months ago with my headphones around my neck. This is so obvious in order to have success, I have to get out there and play live again, nothing takes the place of a live gig. CrypticRock.com – There is something special about a live gig with the consumer because you are connecting directly with the musicians. It is a different experience than listening to it on perhaps a digital download, or record, or whatever it may be. Daniel Ash – Exactly, you are actually there in the flesh, there is nothing that will ever take the place of that. The nearest technology will get to taking the place of that will be holograms, which obviously we all saw that in 2012 with Coachella with Tupac, that thing that happened when he was on stage. I wondered what was going on, I switched the concert on and suddenly there he is. I said, hang on, this guy is alive? Then I was told what was going on. That is the nearest they are going to get to a live give, as far as technology goes. Nothing takes place of seeing people on stage playing. You can stimulate it yes, but there is nothing like a live gig. I am sort of recharged now, I don’t know what it is, I can’t explain it, but I am getting on with it now. CrypticRock.com – Yes, fans have hoped you would perform live again and now it is happening. 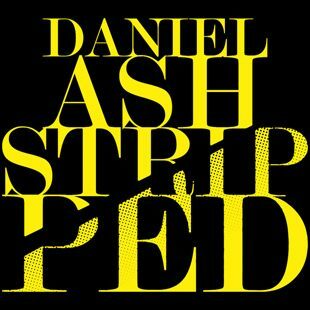 Daniel Ash – I wasn’t sure if anyone really was interested. That was part of the equation as well, I am very surprised by the reaction. I am very excited, but I wasn’t sure the interest would really be there, but it is, so I am going for it. CrypticRock.com – Fantastic to hear and even more to be able to see the tour. My last question for you is pertaining to movies. CrypticRock.com covers music and Horror/Sci-Fi films. If you are a fan of these genres, what are some of your favorite films? Daniel Ash – At the moment my favorite film is by Luc Besson called Angel-A (2005), please check it out. 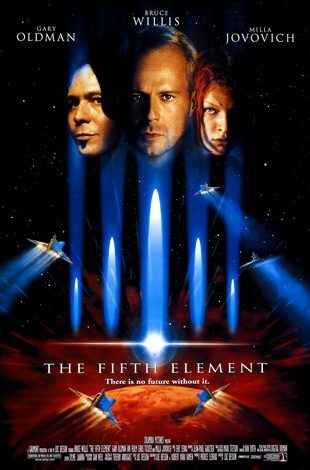 I really love that director anyway, The Fifth Element (1997) is one of my favorite films. The poster of Angel-A is terrific with the really tall blonde and the little guy looking up at her, I want to get one of those posters. It’s very cool. It’s very French, it’s filmed in Paris. In Paris, in July and August, everybody that lives there leaves the city, most of them go to the South of France on a big holiday. The blue collar workers go on one month and the white another. This was filmed when there was hardly anybody around, it’s got a great atmosphere. The filming is fantastic. Also, his other film, Lucy (2014). Poptone Electrify Irving Plaza, NYC 8-5-17 w/ POW!